Ana Silvera - Circle Of Chalk. Background - Since the 2012 release of her debut album, 'The Aviary', singer-songwriter Ana Silvera's work has garnered broad acclaim from audiences and critics alike. Her uniquely ethereal brand of alt-folk has seen her perform at SXSW, Iceland Airwaves Festival, Liverpool Royal Philharmonic and more, whilst recent collaborations include composing for Royal Ballet, duetting with Imogen Heap and singing original songs with early music consort Concerto Caledonia.Now six-years after her last full-length record, Silvera is about to release her sophomore album, ‘Oracles’. “It was Marcus Davey, artistic director of the Roundhouse, who was really the Oracles fairy-godfather. I’d sung in choirs till the age of 15, so that was always my musical foundation. Then Marcus mentioned this great, experimental in-house choir [REC] who were keen to collaborate. It was a very open-ended commission, basically ‘do what you want, use the choir somehow’. I don’t think either Marcus or I realised how much I needed to write this piece”. Poignant, dreamlike and beautiful, and written following the sudden loss of her mother and brother, ‘Oracles’ was Silvera’s way to transmute her grief into a cathartic work of art. “I wrote ‘Oracles’ in a state of absolute urgency and emergency – it felt like I had been buried in the ground myself, and writing this music was a small pocket of air, my chance to breathe again”. In 2011, the song-cycle was debuted with REC, and the following year was performed as part of a sold-out concert on the Roundhouse Main Stage, earning Silvera a nomination for a British Composer Award. She then returned to the Roundhouse Theatre to make a live recording of the piece, which forms her second full-length album. The recording features Silvera as a soloist, a choir led by Josephine Stephenson and a stellar line-up of guest musicians including pianist Bill Laurance (Snarky Puppy), double bassist Jasper Høiby (Phronesis) and drummer Jacob Smedegaard (Fiction, Du Blonde) as well as Simran Singh (violin), Anne Chauveau-Dhayan (cello) and Naomi Morris (percussion). The result is a haunting yet life-affirming collection of songs whose lyrics explore loss, love, salvation and the journey towards acceptance, themes that are underscored by beguiling, weaving choral lines, mellifluous Debussian piano melodies, subtly off-kilter percussion and rapturous strings, all unified by Silvera’s dynamic vocal style which evokes the delicate yet theatrical prowess of Kate Bush, combined with what the Arts Desk described as a “Björk-like spontaneity’. Conceptually, the piece follows the arc of a ‘quest’ – a folk tale that begins with a search for a tangible or symbolic goal and ends with a triumphant return home. “On reflection, I see my quest was to fathom this experience and - though it no longer existed in the familial sense of the word - to find my own way back home”. ‘Skeleton Song’, an Inuit-myth inspired tune about a woman who is sung back to life, is a fragile yet powerful paean to the female figures surrounding Silvera who “painstakingly pieced me together again”. ‘Catherine Wheels’, the epiphanic closing song, whose swelling strings push the song-cycle to an emotional climax, celebrates “the kind of earth-bound, steadfast love” that allowed Silvera to finally reckon with her past and come to terms with the present. Says Silvera, “I can honestly say, I found it so moving that post-performance, audience members would come and speak to me about their own experiences of bereavement. Making that human connection and finding we are not alone is perhaps the greatest healer of all”. WEBSITE. Opening with rhythmic drums and vocal chants 'Circle Of Chalk' soon begins to have an expansive feel to it. 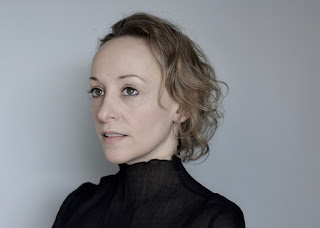 Ana Silvera's vocals are captivating, powerful and dramatic, and as the song continues to develop additional elements to the musical arrangement, these further complement the hypnotic and beguiling singing. Despite the track being over six minutes in duration, I was left eager to hear it again, along with everything else that will follow. El Ten Eleven - Phenomenal Problems. Background - Seminal post-rock duo El Ten Eleven, have announced the release of their new album Banker’s Hill (out 8/10 via Topshelf Records). They have also released the lead single “Phenomenal Problems” and its corresponding live video. The video is an up close and personal look at the formative duo’s meticulously-honed skills at work… crazy how much sonic force two people can conjure! Armed with merely a double-neck bass/guitar, drums and a dizzying array of pedals, El Ten Eleven create complex, resounding music from scratch, onstage, with no help from laptops or additional musicians. Made up of Kristian Dunn (bass, guitar) and Tim Fogarty (Drums), they utilize multiple looping pedals to create songs that sound as though they are being played by at least six people… most first-timers to an El Ten Eleven show are stunned that the band is a duo. It’s a refreshing sight in this age of letting the computers do all the work! Banker's Hill is a nine-song exploration into the challenge of living in the moment. The bands' music has been described as “meditation in motion,” which seems apt - the album explores the paradox of beauty in anxiety, the importance and effect of family and the fleeting possibility of satisfaction. Since the band’s inception in 2002, they have always been just two people who produce their own records. For Banker’s Hill, the band brought producer Sonny Diperri (Animal Collective, Dirty Projectors) into the fold, which is the first time the duo has ever worked with an outside producer, and moved up to the beautiful Panoramic House studios in Stinson Beach on the beautiful Northern California coast to create their seventh album (also, their first for Topshelf Records). TWITTER. 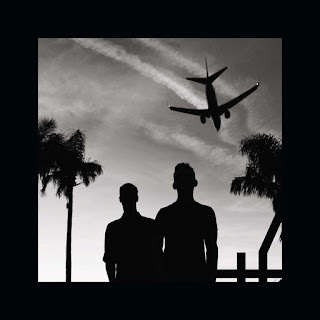 Rock duo's always seem to pack a punch and El Ten Eleven are no exception. 'Phenomenal Problems' is however far more than just sonic energy, there's melody, variations in sound that with two people live, seems remarkable, and above all else, this is a fabulous and hook laden blast of post rock.